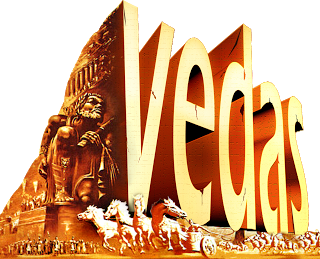 ‘Va idam Vedam’ – Veda means to know. What to know? As human beings, we need to know two things. 1. ‘iham’ – how to live when we are in the physical body. This relates to keeping our body and mind strong, spreading peace and love to our neighbors, strengthening the society by producing good children, working for others’ welfare, etc. 2. ‘param’ – how to live after leaving the physical body. This relates to working for spiritual growth so that the soul attains powers to reach higher worlds, getting help from gods, doing good to other souls etc. These two objectives are fulfilled by the knowledge embedded in Vedas. So Vedas are embodiment of knowledge. ‘Vedah apourusheyah’ - Vedas are not created by humans. They are created by Brahman (Supreme Being). Hence the origin of Vedas cannot be traced. Since they exist before Kritha yuga, we can easily say that they are known to human beings al least 40,00,000 years from now, and are the most ancient on the earth. In the last 10,000 years, they have been written using human language. Vedas were revealed by supreme soul in the form of subtle waves to Rishis (seers) when they were in deep penance in search of knowledge. So Vedas were heard by seers and hence they are called ‘sruti’ (heard). Seers were so kind that they wanted to share this knowledge for the benefit of mankind. So they started teaching Vedas in the form of sentences (sound) to their disciples. The disciples started teaching them to their disciples. Thus Vedas had taken the form of sound and the language used was ‘Geervaana’ which is the ancient form of now existing Sanskrit language. Geervaana is called ‘language of gods’. The language form of Vedas is called ‘smrithi’ (remembered). ‘Anantha vai Vedaah’ – Vedas are infinite. The knowledge in Vedas has neither beginning nor ending. It is like a torch illuminating the path of human race from time to time. The entire knowledge in Vedas was codified and divided by Sage Veda Vyasa into 4 types, called Rig Veda, Yajur Veda, Sama Veda and Atharvana Veda. Some unscrupulous foreigners as well as ignorant Indians campaign that the Vedas were written by Aryans, a separate race of people who descended from somewhere into North India and spread that knowledge to remaining parts of India. This idea was totally baseless and was targeted to spread that Vedas were not possessions of Indians. The truth is Aryans were essentially Indians (Hindus) and they were the first race to set the human civilization on the banks of river Saraswathi which was existing during Ramayana times around 25,00,000 years from now. River Saraswathi was mentioned in Vedas more than 50 times where as river Ganges was mentioned only once. Aryans (Hindus) pioneered the development of science, engineering, metallurgy, mathematics, astronomy, agriculture, architecture, medicine, politics etc and they built an excellent civilization out of their Vedic knowledge. This was later called ‘Hindu (Sindhu) Valley civilization’. Now we provide an overview of Vedic literature. 1. Rig Veda: ‘Rik’ means praise. Rig Veda contains praises for the deities like Indra, Agni, Rudra, and the two Ashwini gods, Varuna, Maruts, Savitru and Surya. Tapping the energies of the Nature is given high importance in Rig Veda. It contains 1017 hymns (poems) praising the gods. These hymns are composed of different metres. A metre comprises of 25 syllables to 104 syllables which are to be recited at a stretch. 2. Yajur Veda: ‘Yajush’ means rituals. Yajur Veda contains different rituals and sacrifices to be conducted to pacify gods. When a mantra is recited and its power is felt, then to make the mantra useful, a certain type of offerings should be done to the concerned god. Yajur Veda explains about these offerings to be made to gods through Agni (fire). Yajur Veda is divided into ‘Krishna (Dark) Yajur Veda’ and ‘Shukla (Bright) Yajur Veda’. Bright Yajur Veda contains mantras used in the rituals while explanations exist in a separate ‘Brahamana’ work. The Dark Yajur Veda incorporates such explanations in the work itself, often immediately following the mantras. 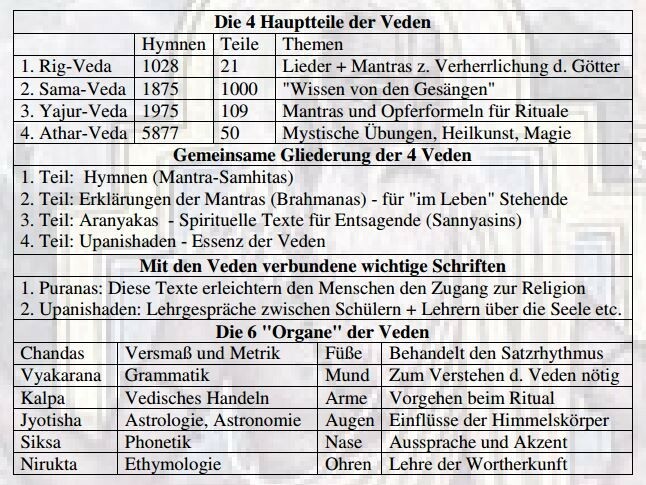 There are 101 branches for the Dark Yajur Veda and 17 for Bright Yajur Veda. 3. Sama Veda: ‘Sama’ means song. Sama Veda contains verses to be sung. These verses are built in their root form using the 7 notes: Sa, Ri, Ga, Ma, Pa, Dha, Ni which are the basis of the classical music now existing in India. These notes aid the liberation of soul by stimulating the energy centers (chakras) in the human body. Most of the verses in Sama Veda are taken from Rig Veda. There are several new verses added. Also, some verses are repeated. In all, it consists 1875 verses. These verses are addressed to Agni (fire), Indra (lord of gods) and Soma (moon). The verses of Sama Veda should be sung and not to be chanted. Singing these verses is called ‘Saamagaana’. 4. Atharvana Veda: Atharvana Veda contains useful rituals to attain worldly happiness. It contains description of diseases, how to cure them, sins and how to remove their effects and means of acquiring wealth. Atharvana Veda is more applicable to modern society since it deals with different subjects like Science, Medicine, Mathematics, Engineering, Technology etc. Atharvana Veda contains about 6000 verses forming 731 hymns. 1. Mantra Samhitas: They are hymns, poems and prayers to various gods. 2. 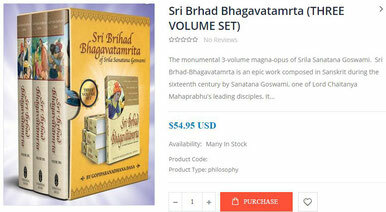 Brahmanas: They explain how to perform sacrifices and offerings to gods. 3. Aranyakas: They give philosophical interpretations of the rituals. 4. Upanishats: They are considered most important because they contain the gist of entire knowledge of all Vedas. The most important Upanishats are: Isopanishat, Kenopanishat, Kathopanishat, Prasnopanishat, Mundakopanishat, Maandukyopanishat, Aitareyopanishat, Taittireeyopanishat, Chhandogyopanishat, Brihadaranyakopanishat and Svetaasvataropanishat. 1. Ayurveda deals with herbal cure for diseases. 2. Dhanurveda deals with how to defend from enemies and conduct war. 3. Gandharva Veda deals with music. 4. Artha Sastra deals with politics and economics. 1. Vyakarana deals with grammar of Sanskrit language. 2. 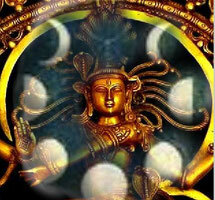 Jyotisha deals with astrology and astronomy. 3. Nirukta deals with etymology of words contained in Vedic mantras. 4. Siksha deals with phonetics and accent of Vedic mantras. 5. Chandas deals with prosody of Vedic mantras. 6. Kalpa Sutras deal with methods of sacrifices and code of conduct to follow. ‘Smritis’ contain knowledge about how to lead a life without harming others. The duties to be performed at the 4 stages of human life, viz. childhood, youth, middle age and old age are clearly mentioned in Smritis. The laws to implement discipline in the society and the punishments if the laws are not followed are discussed in Smritis. Manu Smriti, Yajnavalkya Smriti and Parasara Smriti are most important Smritis among others. Ithihas = Ithi + ha + sah = this + in this way + happened. So, ‘Ithihas’ represents something happened in the manner as mentioned. So they are not stories or myths. They are part of Indian history. 1. Ramayanam written by sage Valmiki and 2. Mahabharatam written by sage Vyasa come under this category. These are called history books. ‘Puraapi navam ithi puraanam’ – It is modern even though it is old. It means even though Puranas appear to be old, they contain valuable knowledge that is equally applicable to the present modern society. Ithihasas and Puranas contain the same knowledge of Vedas but in a simplified story form. Even a layman can understand them and follow them easily. There are 18 main Puranas along with another 18 sub Puranas. 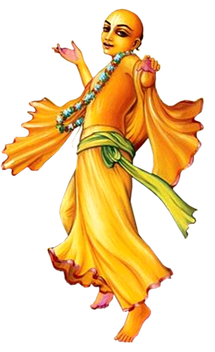 The following is the list of main Puranas: 1.Vishnu Purana, 2.Naradiya Purana, 3.Srimad Bhagavata Purana, 4.Garuda (Suparna) Purana, 5.Padma Purana, 6.Varah Purana, 7.Brahma Purana, 8.Brahmanda Purana, 9.Brahma Vaivarta Purana, 10.Markandeya Purana, 11.Bhavishya Purana, 12.Vamana Purana, 13.Matsya Purana, 14.Koorma Purana, 15.Linga Purana, 16.Siva Purana, 17.Skanda Purana and 18.Agni Purana. They deal with practical methods of worship like mantras, tantras and yantras. They describe how to construct temples, idols, charms and spells, mystic diagrams, social rules and public festivals. Agamas are of three types: 1. Vaishnava Agamas which glorify lord Vishnu as the main deity. 2. Saiva Agamas which treat lord Siva as the main deity and 3. Sakta Agamas which consider goddess Devi (or Lalitha) as the mother of the Universe. While Ithihasas, Puranas and Agamas are for masses, the Darsans are for the intellectual scholars. The sages have condensed their thoughts in the form of laconic verses (aphorisms) in Darsans. Hence it is very difficult to understand them without the help of commentaries. This is the reason various commentaries are provided by later sages. There are 6 Darsans called ‘shat darsanas’: 1. Nyaya founded by sage Gautama, 2.Vaiseshika by sage Kanada, 3. 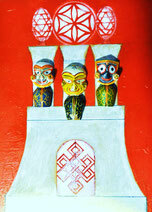 Sankhya by sage Kapila Muni, 4. Yoga by Patanjali Maharshi, 5. Purva Mimamsa by Jaimini, and 6.Uttara Mimamsa or Vedanta by sage Vyasa.